Large USB condenser diaphragm microphone with built-in electret capsule and supercardioid polar pattern that makes it more resistant to feedback and ideal for home recordings. USB connection is compatible with all common OSX and Windows systems (XP, Vista, 7, 8, 8.1, 10), and works as a power supply. Microphone is also equipped with headphones output with adjustable volume. With sample rate 16 bit/48 kHz, frequency response 30 Hz – 18 kHz, sensitivity -38 dB and SPL 135 dB microphone delivers high quality and clear sound of the record. Package includes microphone bag, 3 m USB cable and microphone holder with standard thread for stand mounting. Dimensions: 54 x 150 mm, weight: 422 g, silver colour. 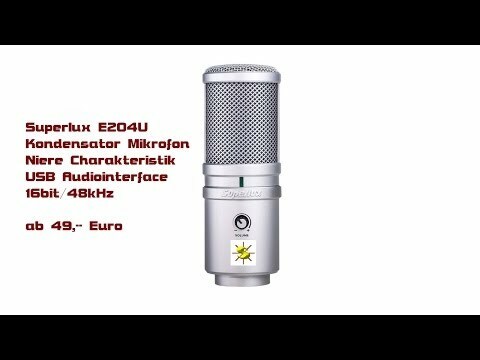 Buy Superlux E205U in discounted set. 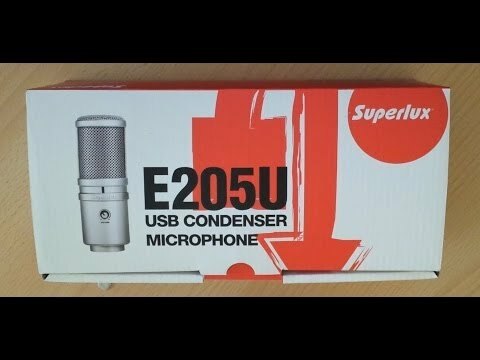 Do you own Superlux E205U or have you had a chance to try it?